Gather round close, folks, because for our next trick...we will, quite amazingly, pull an unbelievably timeless, tactful, and tantalizing costume out of pure (internet) air! We have been busy brushing up on our magic and we’ve learned quite a few things. 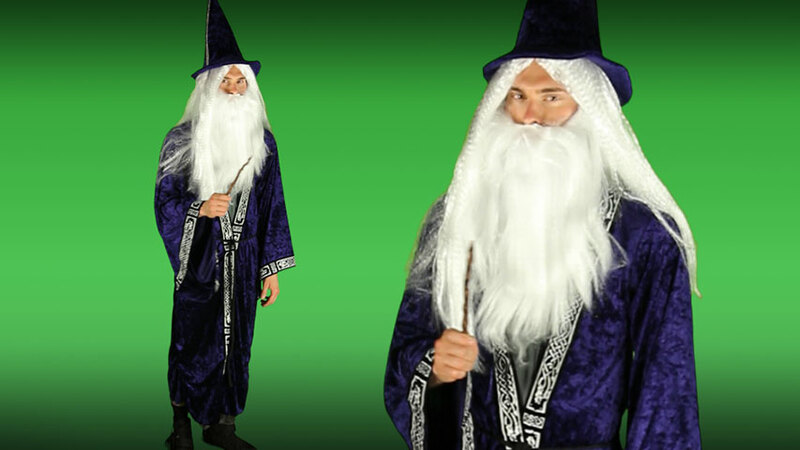 Did you know, for instance, that there is time-honored potion recipe for a no-fail, fantastic Halloween costume? It’s the second potion we learned (the first did our taxes for us). You mix equal parts of a gray, floor-length tunic and a royal, purple robe with a smidge of silver trim, hair from a centaur’s tail, and a pinch of bell sleeves. 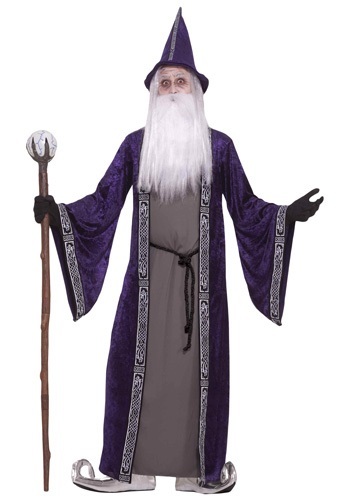 Add in a belt of black rope, a conical wizard hat, and a dash of dragon's breath. And...ta-dah! You'll look like a magical mirage in this Adult Purple Wizard Costume, which includes all of the above ingredients (no mythical creatures were harmed in the making of this potion). And you can wow your pals with your powerful presence and majestic mojo. You’ll want to conjure up your own fast-growing long white beard (we haven’t learned that spell yet, sorry) or, just pick up one as an accessory (no one has to know it’s not real). Don't forget to pick up a wand so you can carry out all your incantations. We bet after a few practice sessions, you’ll be able to make the party snacks automatically replenish themselves all night long; what a hit you’ll be, then! The neck is pretty small for my son. He is 5'10" and weighs about 170 lbs and the neck is too tight to use the velcro close they have. Otherwise, it's a great costume.